Please google up 'Halfeti black roses' and see for yourself what I consider either an internet prank or a tourism publicity stunt for the small Halfeti village in Turkey. Supposedly very dark red roses grow 'wild' there, which at some point turn to real black. From the very few pictures that exist on the net, the images show heavily photoshopped black roses appearing to be florist type hybrid teas. The village authorities are said to be making efforts to coserve these supposedly rare wild roses by planting seeds of them... The explanation provided for the colour is the very rare qualities of the local soil. Prank or not, this 'news' seems to be going viral on the net. Well, the 'black rose' is even shown in the regions official's page. What I can believe may be the case is that florist rose production was/is taking place in the region, where some very dark red cultivar was used which, because of the region's soil characteristics and the particular climate was turning much darker than usual with age. That much I can believe. It's easy to take something with a grain of truth and blow it out of all proportion. Nik ... the key is that they cannot grow "naturally" from seed if they don't get pollenated. Not only are black roses unattractive to pollenators, there are too many petals in the rose in the photos of the "Halfeti 'black' roses"
Florist roses were bred for certain characteristics and were, and still are, propagated by tissue culture. I agree with Suzy ... it's a "crock"
Yeah, I also think it's a crock. And I think those are Florists's roses. Someone's having some fun with this ... It's a fraud. Hi roseblush, I agree on the seed part, did I ever say otherwise? Below is a page from a Turkish language forum. From the few words of Turkish I understand and with Google translate I infer people are talking about the particular roses and saying they are really dark burgundy red. Some pics also (apart from the ones in post 54 which show modern HT roses from Spain) seem to indicate to my eyes that these are kind of early not well formed HT's maybe from late 1800s. "Hi roseblush, I agree on the seed part, did I ever say otherwise?" That first group of pictures are obviously photoshopped to take out the color. I have ink spots and it's very dark red with blackish tinges on the edges. 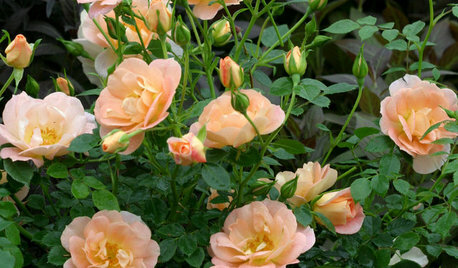 I suggest we give the rose a more "American" name for the US market: 'Adobe Desaturate'! I'm seeing this used lately, increasingly, in advertising. This rose is real but doesn't grow anywhere else and if you pick it it will become red. It's black only when it's attached to the root. Here is a pic someone I know took it when she visited the area. If these pics (some of them may be) manipulated why would they name this rose and you could find references all over the internet? I don't know which is more depressing -- the fact that you believe this is NOT a manipulated picture of what was obviously a normally-pigmented rose, or that "references all over the internet" suggest a high degree of legitimacy. Ha someone unburried this thread. This is obviously a crudely manipulated picture (the red channel is completely taken out with only green and blue left which takes about 3secs in any image processing program (anybody with any knowledge of digital imaging can tell so). As for the references all over the internet, this is a joke if I ever heard one. It never ceases me to amaze me that "Black Roses" comes up on this forum and others. Photos of black roses are all faked. I agree with nikthegreek - that one look at the photo reveals it was altered. The link that Kippy-The-Hippy posted about the FTD site on multi-colored "Rainbow" roses may be a fake site entirely or a site masquarading as a FTD site to scam people for money. Notice the page of 14 bouquets in vases. If you number them sequentially across beginning at the top, from left to right, look closely at the stems on numbers 4, 6, 10, 11, 12, 13 and 14. They are identical. Someone photoshopped the bouquet heads to change the colors. The whole page looks suspect. Please know that any claim for a gunuine black rose - or a true blue rose, for that matter - would generate major news coverage, and would be verified by major organizations that can attest to the validity of the claim: major agricultural-oriented universities, the American Rose Society, et. al. The genetics of creating a true black or a true blue rose is daunting. Blue is a relatively rare color in plants. Bluebonnets, irises, pansies are some of the plants that do produce genes that display blue color. Except for Bluebonnets and a few others, blue colors that are seen at plant nurseries are created through human-induced hybridization. Blue is not common in plants for a simple reason: most insects cannot see it! And, therefore, cannot polinate it. There is a reason that nature did not develop blue flowers. Roses are not wind-pollinated. Rose pollen is relatively heavy and sticks to the stamens. 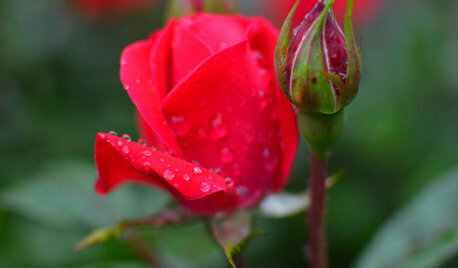 An insect has to actively pollinate roses for it to propogate in nature. Moreover, most pollinators see flowers in the infrared or ultraviolet, not visible light. Yellow is the color that insects most easily see. That's why yellow in the dominant color among all types of flowers. Believe me, if you could get a rose gene that can produce a black or a blue rose and patent that process, you would be an instant millionaire! You can find other photos of Halfeti roses where they are a more believable dark, velvety red more like Tuscany. The photos where they are truly black are obviously faked, as many posters have noted. You can see how the formerly red stems and even the red edges of the leaves have also become black. 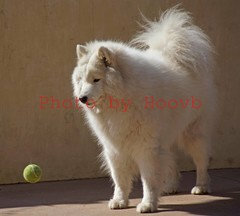 The photos from the Turkish forum remind me a lot of 'Nigrette', which I have growing in a pot. And not just the flower -- the general thin and twiggy growth, as well as the leaves themselves. I think the rose sold as 'Nigrette' is also being sold under the name 'Louis XIV'. While not truly black, they definitely have a black-velvet overlay, especially before opening fully. ...for some people. There are also people who believe all sorts of things which I, personally, don't. A coworker called me over to her desk a couple months ago to show me a picture of a black rose and wanted to know if I had ever seen one. I told her no, because they don't exist. She was amazed, because someone on Amazon was selling seeds for it. It looks like this scam is going around again. A friend sent me the picture yesterday. Brittie -- You're right. 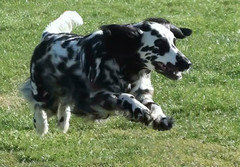 It's hard to continually dash people's dreams ... but I could believe that my Dalmatian Dogs could fly, before I could believe that those photoshopped HTs are "wild roses" growing naturally ANYWHERE. Great picture Jeri! Such a pretty dog. Such a gorgeous dog, Jeri. I'm dredging up this thread again because I managed to capture a pic of some freakishly-dark blooms cut from my 'Nigrette' today. The cool weather has really slowed the development of these buds, and thus the "black" has been preserved. The pic was taken inside, under fluorescent lighting, with an iPhone, and without any further manipulation. I brought these in to work today, and a couple people thought they were fake. Nope -- just freakishly dark from SLOW development during cold weather. "You will live to see man made horrors beyond belief"
Surely the ad placement computers aren't that sophisticated. Looks like you could make a fortune, Christopher! Black roses do not exist. Full Stop! 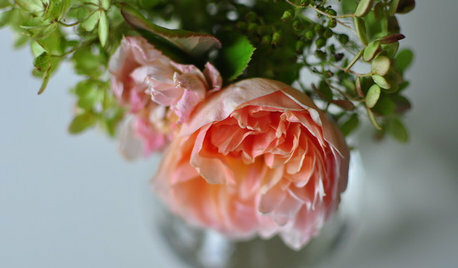 The genetic code for roses simply does not permit it. 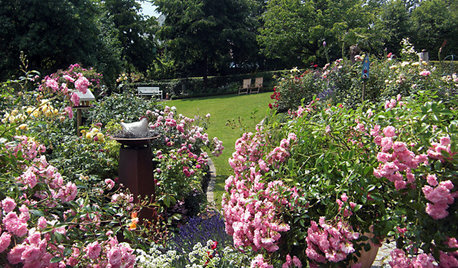 While tulips, pansies, irises and some others may allow for this potential, roses do not. Not that some hybridizers are not trying, mind you. But to do this, gene splicing is necessary and, so far, no one has done this successfully. So, for now, no black roses! And, while we're at it, no blue roses either! 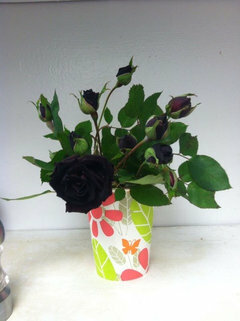 "Black" roses are dark magenta...mainly deep burgundy with the edges so dark as to appear black. And rainbow roses are real (I've ordered them from FTD multiple times) however they are not natural...they are manipulated white roses treated with dyes...usually through water absorption. Halfeti roses are real, and are a dark crimson color. The combination of nutrients in the soil with the humid temperatures, cool nights, and hot days deepen the crimson to appear even darker. Many photos you may find are manipulated, but there are real photos circulating around as well, but are rare. There is a website that offers them for sale and should you plant one in your own garden you will be disappointed as the color will not be the ominous shade simply because of the soil type and climate. A Black Baccara grown in bright indirect light with lots of humidity and cool foggy nights can turn as dark as Halfeti, but no rose is true black.Click this link for a list of blackish roses and how to grow them. Black flowering plants, regardless of the genus, are rare. All of them have been hybridized. No black flower was ever created naturally, in the wild. The most common hybridizations occur in plants whose genotypes are freely open to such hybridization: Tulips, Pansies, Irises, Petunias, Hellebores, and a few others. ALL of these were hybridized in the lab; NONE in nature. The reason there are no black flowers in nature is simple: pollinators cannot see the color black! Most pollinators see in infrared or ultraviolet, so plants created colors that insects can see. The color that reflects best in infrared or in ultraviolet is yellow. (That's why you see so many plant species that have yellow flowers - now you know!) Pink, red and white are also good for pollinators, but yellow dominates the meadows, hillsides, trees and shrubs. True blue in nature is rare. Blue reflects poorly in the infrared but some pollinators can see blue. Roses, like so many other genera, have genomes that do not permit hybridizations for the color black; man-made or otherwise. A simple analogy: you can make many colors of brick from clay-bearing soil, sand and lime, and add some other coloring agents, but you cannot make brick transparent or a true white for the same reason: it's not in brick's nature (in this case, molecular, not genetic) to allow it to be transparent or true white. No one has tried to make brick transparent (why would one do so, anyway? ), but rest assured, it cannot be done if one tried. So many people have gone broke trying to hybridize a black tulip. (They never listened to the people who went broke trying to do the same with orchids!) Most traditional hybridizers don't even try anymore. Sorry, I meant to say, "So many people have gone broke trying to hybridize a black rose." One must be careful when stating things in absolute terms -- often nature will surprise you. There are, in fact, plants with black blooms that "occur in nature", meaning they are not hybridized forms. 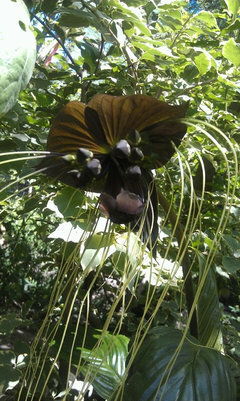 One which immediately comes to mind is Tacca chantrieri, aka the black bat flower. And we must remember that humans don't see all colors, so it's entirely possible that what we perceive as "black" will actually be seen as something else by organisms able to perceive colors beyond our visible range. To our eyes, something "black" is not reflecting light in any colors we can see -- but it may very well be reflecting light within the ultraviolet or infrared range. For example, scorpions all glow under UV light, even those which appear black in normal light. You're very close.... but no cigar. The Black Bat Flower does indeed appear to be black at first inspection, but a close look reveals it's a very dark, black-like maroon with some green tinges. Take a close look at this. Zoom in on the photo and you'll see. I'll admit, this is the first flower in nature I've seen that comes the closest to a true black. Much, much "blacker" than the deepest maroon rose, for sure. If you zoom in on many different flowers you'll see colors not apparent while looking casually. 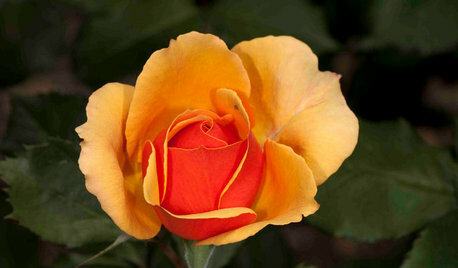 'Golden Celebration' is a rose whose blooms "read" golden yellow, but when you zoom in, you see pink dots on a yellow base. Even the "black" flowers you discount because they result from hybridization will similarly show other colors when one looks closely enough. yellow base, which is lacking in pre-Pernetiana reds, which deposit pigment on a white base. But if we want to be picky, see below. hybrids are numerous. And even man-made hybrids do not necessarily require a laboratory -- some may, as with embryo-rescue, or as with culturing orchids via agar. 2) What pollinators "see" and what we "see" are not necessarily the same thing. Pigments which reflect light beyond the spectrum which we can "see" are invisible to us, but visible to them. If we "see" something that appears black, there could very well be markings visible to organisms which can perceive colors in the infrared and/or ultraviolet spectrum. Those markings aren't necessarily yellow to our eyes. If a pigment absorbed all light except UV, to our eyes it would appear black -- but not to the eyes of an organism which can "see" UV. 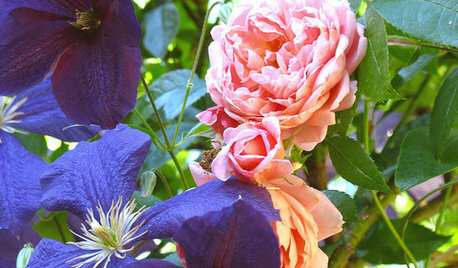 And this ignores that many flowers attract via scent rather than color. 3) I don't understand what is meant by "Roses, like so many other genera, have genomes that do not permit hybridizations for the color black; man-made or otherwise." Many roses which "read" black or nearly black do so because of a density of pigments and/or structural components of the petals which interfere with light reflecting from them. The rose doesn't necessarily have to produce actual black pigment. And in any case, mutations do happen. The pigment pelargonidin appeared in roses as the result of a mutation in, I think, the cultivar Geranium. And petal structure can affect refraction so as to "bend" the light into another color. The example most familiar to me is actually with parrots. In reality, there are no "green" parrots, in that parrots do not possess green pigments. They also don't possess any blue pigments. What we "see" as green is the result of brownish-black melanin deposited near the center of a feather filament, and the structure of that filament results in refraction -- and the brownish-black "looks" blue. Yellow pigments are deposited near the surface of the filaments, where no refraction occurs, and thus reflect "yellow". The result is brownish-black is "bent" to blue, and then reflects through a yellow outer layer. And voila! We "see" green. Want to see that break down? Give a green parrot a shower, and it'll "turn" brown when its feathers are fully wet. As it dries, the "green" returns. 4) The color that reflects UV best is not really "yellow". When we "see yellow" it means that light in the yellow spectrum is being reflected. Something may very well appear to us as "yellow" but in actuality be another color -- it's just that we can't "see" the other color being reflected. It's like viewing something purple when one can't "see" red -- one would "see" just blue, even though red is also being reflected. It may just be that UV-reflecting pigments in many flowers ALSO reflect yellow, but we miss that UV part. And similarly, something can easily be "yellow" but not reflect UV at all -- just as not everything "seen" as blue by someone who can't "see" red is necessarily purple. 5) One actually CAN make transparent bricks. Glass is typically composed of silica, a major component of most sands and also abundant in clay. The reason it is transparent and sand isn't is because of its physical structure -- when in crystal form, it is not transparent. But melt it down and it is. This is similar to why water and flash-frozen ice are transparent but piles of snow are not. Here's my black bat plant. My dumb roosters like to pull the flowers off of it and eat them tho... :/ The sun was kinda shining through the bracts of the flower so look more brownish. In the shade its much darker. You can see where this is going, can't you? Back to......... "The Dress." Is it white and gold or black and blue? Sorry Mamut, that video doesn't make the grade. There is not ONE shot of the actual live rose, only video taken of altered/photo-shopped photos. Either the film maker is exceptionally naive or is another hoaxer himself. I know fig-insanity ( by the way i love insanity :) video dont say much !!! At the moment my brothers working there in building site I will ask him to take some picture and send it to me believe me I'm not seller or buyer and I'm not after anything im just saying it is real. There are very few true black flowers. A black rose is not one of them. The tulip's center of diversity is not in Turkey, it is in the Himalaya region around Pamir. It's native range extends from there all along the Levant, Asia Minor, the Balkans and Southern Europe. They were made well known to Northern Europeans because of the love the Ottomans had for them. 1. There are no very dark almost black like species roses growing in Turkey or anywhere else. 2. 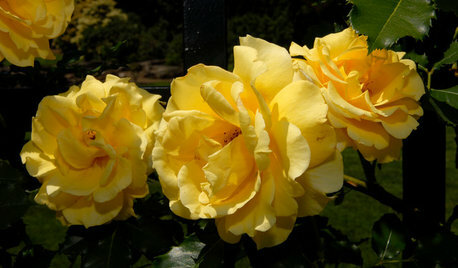 There are no hybrid roses grown in Turkey which are not known and grown elsewhere in the world. 3. 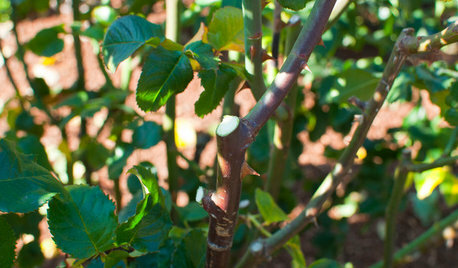 There are no Hybrid Tea roses that can be reproduced from seeds. 5. There are well known rose hybrids which are very dark red which can appear almost black at a cursory glance depending on the bloom age and the lighting conditions under which they are viewed. 6. 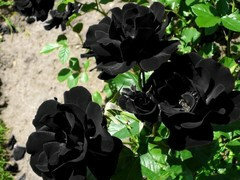 ALL internet pics which depict truly black HT type roses from Haffeti or anywhere else are fake or altered. Having a black color is not necessarily a death warrant for a bloom. Black tulips, irises, violas (very close relative to the pansy), and - my favorite - a black petunia! (Called "Black Velvet Petunia." It's a stunner.) Most of these and other true black flowers seem to do quite nicely in sunshine (especially that petunia - it loves the sun as do all petunias). Also doing nicely in sunshine, by the way, are birds living in very hot, sunny environments: condors, vultures, crows, blackbirds, red-wing blackbird, etc. But to add to the confusion about black roses, there's the "Black Rose Aeonium", not a rose at all but a succulent, Zwartkop aeonium. Pretty cool looking, though! Nik summed it up nicely. Even so, I suspect that this is one of those topics which will never truly die. Color advice for 12 year old girl who wants black or blood red, yikes! 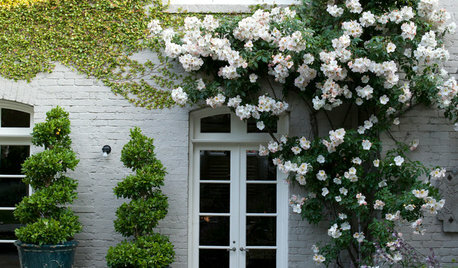 Where to put climbing roses?? 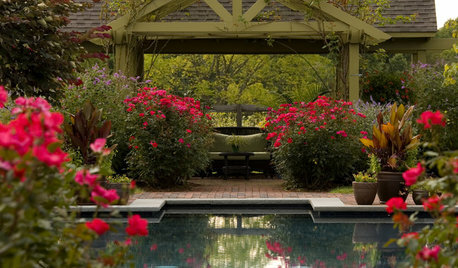 Should I plant Bare Root Roses with black canes?